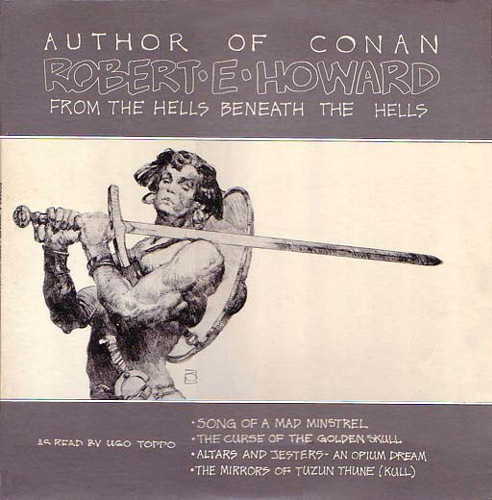 ROBERT E. HOWARD (1906 -1936) was a Texan author of Fantasy, Adventure, Horror, Science Fiction, Mystery and Detective Fiction. 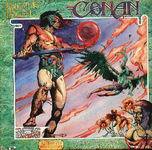 He is best known for the creation of Conan. Most of his stories tended towards Fantasy, Adventure or Horror, with recurrent themes like reincarnation, boxing, self-reliance, racial memory and racial pseudo-science. 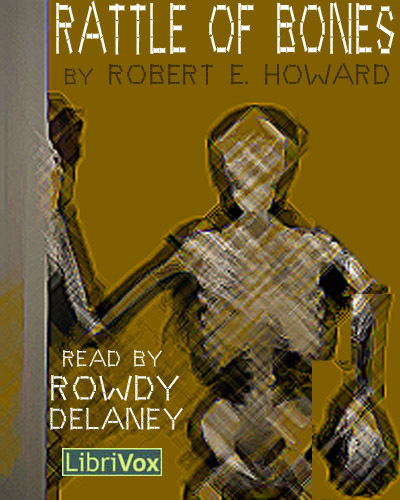 He was a student of history, with some of his short stories depicting events from history (but usually made fantastic). Even when his fiction was not meant to be historical it often used historical place names and historical character names to dress his fictional worlds. His many writings, written during his too short career, are today mostly in the public domain. This has meant, since they’ve mostly gone PD, a delightful flourishing of audiobook and audio drama releases. Listed below are all the R.E.H. 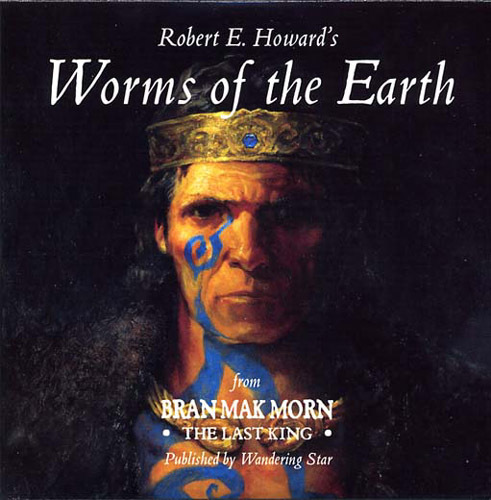 audiobooks, podcasts, and audio dramas that we are aware of. 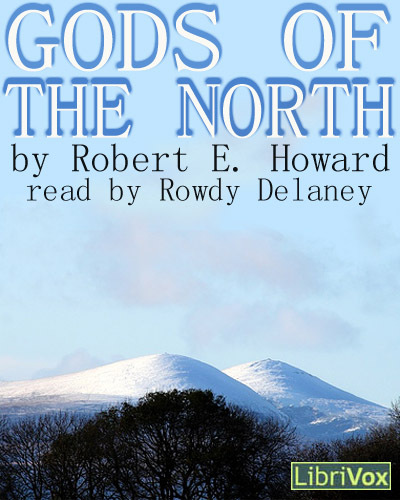 A winter war in the mountains of Vanaheim and a bit of gossamer are all that stand between Conan of Cimmeria and a frosty beauty who spurns him. First published in Fantasy Fan, March 1934. Alternate titles include: The Frost Giant’s Daughter, The Frost King’s Daughter. 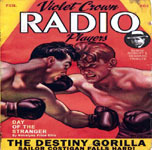 First published in the June 1929 issue of Weird Tales magazine. Solomon Kane, stops at a grim inn of the Black Forest. To survive the night he’ll need fight demonry and witchcraft, and bandits all. Podcaster: November 2008 – ???? What lies beneath the stone cairn on the headland of Clontarf, where the Christian Irish defeated the pagan Vikings in pitched battle a thousand years ago? An unscrupulous extortionist plans to uncover the secret. 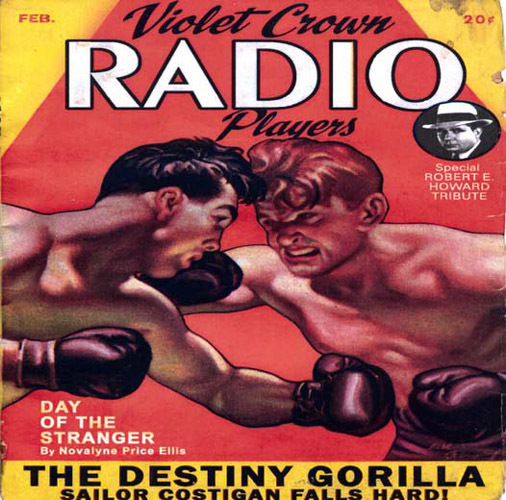 First published in the January 1933 issue of Strange Tales of Mystery And Terror magazine. 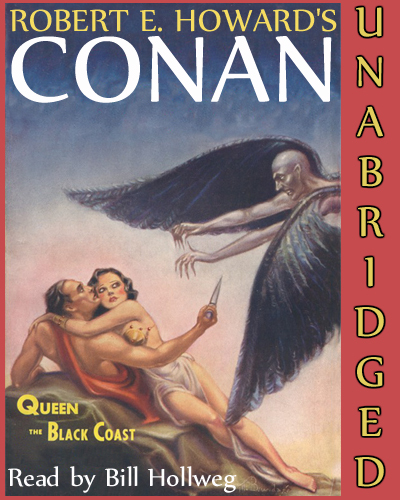 In the seacoast kingdom of Argos, after a brush with the Hyborian legal system, Conan hops aboard a southward bound ship. Off the coasts of Kush the ship is boarded by black corsairs under the Shemitish she-devil, Bêlit. 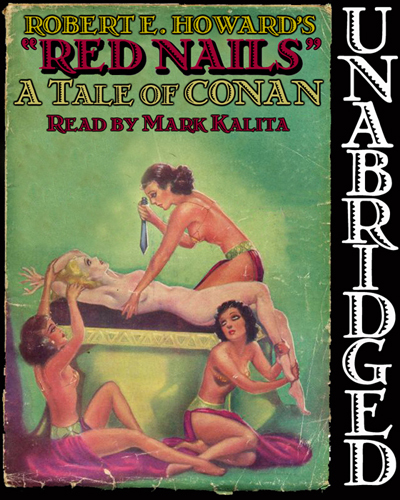 Conan joins her crew, becomes her consort, and for a long time they harry the Hyborian and Stygian ports. During this stage of his career, Conan gains the name of Amra, the Lion, which is to follow him throughout his later life. 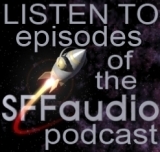 Podcast: June 2008 – ???? 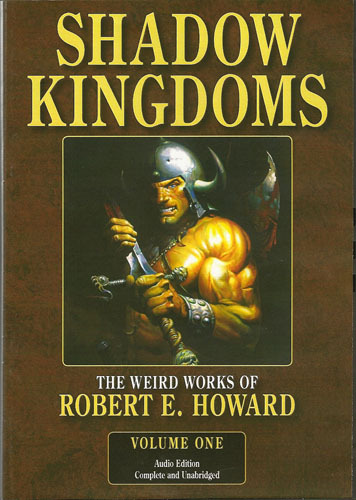 The first volume of the Weird Works of Robert E. Howard, presenting much of Howard’s work for the pulp magazine Weird Tales meticulously restored to its original magazine texts featuring stories with King Kull and Solomon Kane. 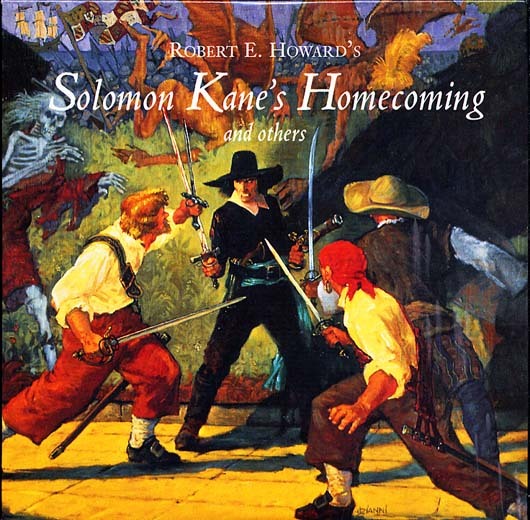 This CD is only available with purchase of either the The Savage Tales Of Solomon Kane “Limited Edition” boxed set (limited to 1050 copies) or the “Ultra Limited Edition” (same package but bound in goatskin and limited to just 50 copies). One pressing limited to 1500 copies. 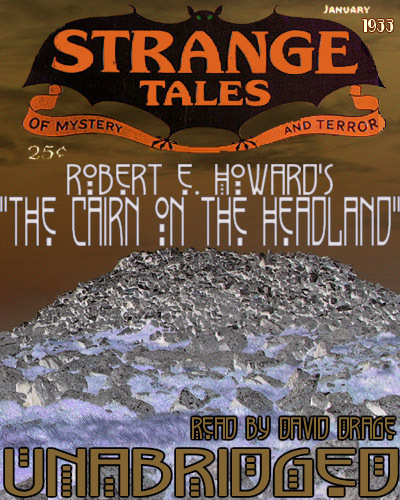 Contains two abridged short stories with music. Accompanied by his famous fighting dog Mike, Steve Costigan, the prizefighting sailor from Texas, brawls his way into a lover’s triangle. Yowza!